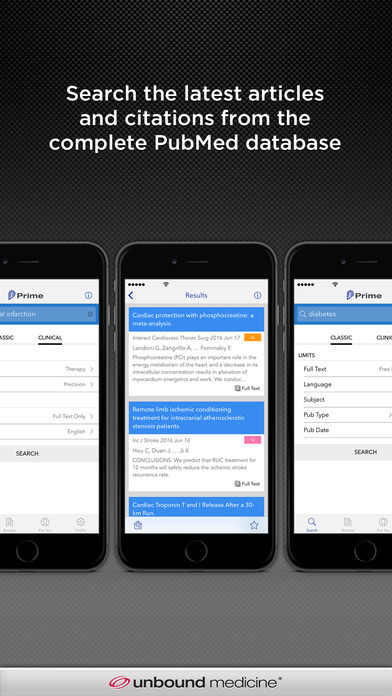 Unbound MEDLINE is now Prime. 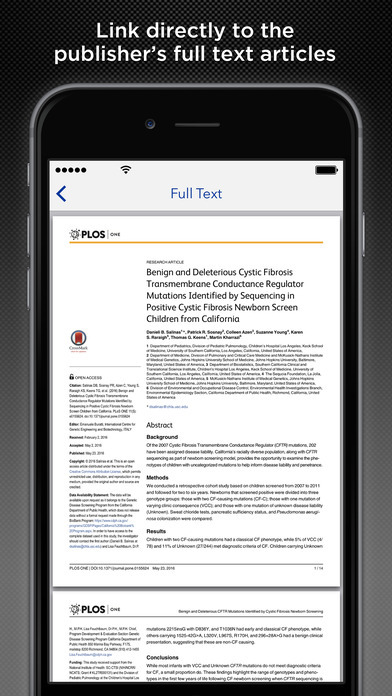 The new free Prime app connects you to the most up-to-date journal citations and abstracts from the complete PubMed database. In addition to the ability to perform powerful searches and link to the publisher’s full text articles, Prime also provides a number of exclusive tools not available anywhere else creating a one-of-a-kind user experience. - Search: Perform evidence-based searches by keyword, author, or journal then link to full text articles. Grapherence® is Unbound’s interactive search that graphically represents the influence and interrelationships among journal articles. Tap the Grapherence button within a citation and instantly see how that article is related to others. Using this exclusive feature the researcher quickly uncovers difficult to find entries, determines overall significance, identifies clusters of thought, and locates seminal articles. 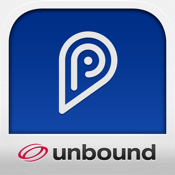 With 50+ premium apps available, Unbound Medicine combines powerful software with best-selling content to deliver clinical answers wherever you need them. Top-selling apps include Johns Hopkins Antibiotic (ABX) Guide, Davis’s Drug Guide, 5-Minute Clinical Consult, Harriet Lane Handbook, The Washington Manual, Nursing Central™, and Diagnosaurus DDx.